Unmanaged Dedicated Server Hosting - Done With Shared And Want to Own Server! Our dedicated servers gives you ultimate power, security and control. With own server in hand, no more nagging neighbours disrupting your website performance. Get total access over the server resources and power needed to boost your business or websites. Well ScopeHosts makes it easy for you to target your local traffic or customers, with choice of servers location. We operate in world-class datacenters located in strategical high business growth areas, providing best-in-class Security, Reliability and Powerful Network Connectivity. We have servers in Netherlands, USA, Germany and Russia. Boost Your Business with Tuned Dedicated Servers For Ultimate Performance!! Experience the difference in website performance with our Powerful RAW Bare Metal Servers. Affordable and Cheap USA Servers located in TIER III+ Datacenter on 100Mbps, 1Gbps and 10Gbps Volume Network Lines. We operate in World Class Datacenter at Naaldwijk is EcoFriendly. We have more than 100Gbps+ Global Access Network. Our Germany Dedicated Servers are located in one of the Germany largest TIER III Datacenter "Telehouse". Offshore Russian Servers has Hybrid Technology & Infrastructure. Host any kind of Intensive websites and applications. We have custom designed server architectures based on your intensive applications and workloads requirements. From Server, Network, Storage Configuration, RAM and Monitoring, up-to extended priority Support 24/7, we`ll make sure cover everything your business needs. Discover What Features makes our Servers the Best Performing Hosting Servers. Upgrade network connectivity anytime without or with minimal disruption. We have hardware firewalls available to secure your network from unauthorized use. Filter malicious traffic with our DDOS protection and keep your business online. We choose latest Intel Xeon E3, E5 v2, v3, v5 Servers make sure your workloads run faster. Choose our Priority Support SLA Packages to get instant support on any server issues. We help you in protecting your business and you will have total control over the server. 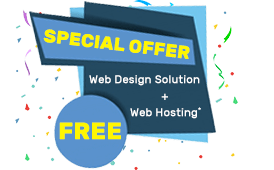 "Scopehosts is the best web hosting service provider with reliable, affordable and easily scalable hosting services with 24/7 support to all the customers." "If you are looking for a reliable Dedicated Server hosting Service , then Scopehosts is the best option. It provides very economical and secured dedicated server hosting service with 99.99% uptime guarantee along with features to ensure protection against any attacks." "If you are new to this hosting business, then choosing Scopehosts hosting services would be worth it. Scopehosts provides very low-budget dedicated servers with some really awesome hosting traits." Our dedicated server delivery system is swift and get the server online fast with standard server configuration options. We can change server resources anytime,based on your demanding workloads. Customize Architects of storage, networking and RAM. 1. What is Dedicated Server Hosting ? Ans: Dedicated Server Hosting is simple way of leasing a Physical Server, were you will hold complete control over the server and can store your data without needing any intervention from us. 2. When do I need Dedicated Server Hosting ? Ans: Dedicated Server Hosting is needed when you want to outgrow your competition. Having moderate business or data driven websites with good traffic, VPS/Shared Server not performing as for your expectations. Immediately you need to plan your upgrade for Dedicated Server Hosting. 3. How much technical knowledge is required to run a dedicated server ? Ans: Dedicated Hosting provides complete control over the server; you`ll need have knowledge on maintaining and manage everything that you host on server. Our support team is available 24/7 for any assistance you need, but you need to have technical proficiency before investing on unmanaged dedicated server. 4. How long does it take to set up my server ? Ans: Standard setup time for our servers is 1 to 5 business days based on the configurations, because we purchase new equipment to deploy you with latest technology enabled servers. 5. None of the dedicated hosting packages meets my exact needs, can you provide me a customized plan ? Ans: Yes, we can customize any server configuration. The predefined examples we list are designed to meet the most common needs, we understand that they may not be the perfect fit for everyone. So do contact us to speak with a consultant and get started with customized hosting solution. 6. Do you offer servers in multiple locations ? Ans: We have 4 Strategically located, Automated, and Redundant Datacenters. We operate in Netherlands, Germany, USA, Russia. 7. What makes ScopeHosts different than most Dedicated Hosting providers ? Ans: We are in colocation with our datacenters, which has a great benefits within itself such as high security, high volume network connectivity, sustainability and more. As we operate in 4 different locations, our customers get different option to choose from as per their needs. We are different, because we care about our long-term relationship with our customers no matter how big or small, or what services they have. 8. Can I resell the space on my server ? 9. Do I get physical access to my dedicated server ? Ans: Dedicated servers are housed in special areas of our data centers. We do not allow any physical access to dedicated servers. Only authorized personnel are allowed access to dedicated server environments. 10. How much bandwidth do I receive with my server ? Ans: Every server comes with certain fixed amount of bandwidth. The amount of bandwidth is denoted in the product description area for the server. Additional bandwidth is available for purchase during the order process, or you can contact sales for a customized quote. Also you can drop a mail at sales@scopehosts.com . 11. What kind of connection does my server get ? Ans: Your server is set up with either a standard dedicated 10Gbps, 1Gbps or 100Mbps port. The service description indicates the port speed at which your server is connected to its network switch port, and upgrades are available where applicable. 12. Can promo code discounts be applied every month ? Ans: It totally depends on the current offers running. If the offer is ONETIME, then first month amount will be discounted only. If the offer is for LIFETIME, then you can avail recurring discounts. 13. Do you secure my dedicated server ? Ans: You will be solely responsible for the Server's security. If in case, you are unable to manage the server, we do provide Server Management service as addon. 14. How long will it take for my ticket to get answered ? Ans: Our average ticket response time is under 30 minutes, however in few cases the response time will differ based on the issue. Our team constantly strives to give better support. 15. What is your Spam Policy ? Ans: ScopeHosts has a STRONG anti-spam policy and applies it. Spammers are NOT welcomed. This includes spamming through open proxy servers or any other kind of unsolicited email advertising. If a customer is found to be in violation of our SPAM policy, ScopeHosts may, at its sole discretion, restrict, suspend or terminate the customer's account. For more specific answer please visit our legal documents page. 16. How can I ask for a service to be cancelled ? Ans: You just have to raise a cancellation request from client area portal. The service will then be suspended when it expires, and then deleted (inclusive of all the data the server contained will be erased) within 24 hours. Please note, once the service has been suspended, the data of the server cannot be restored. Also you cannot ask for refund as we do not provide moneyback guarantee with dedicated hosting service.